Most Dol Guldur units suffer from a basic, constant damage over time effect due to the Necromancer’s magic draining them and their surroundings. 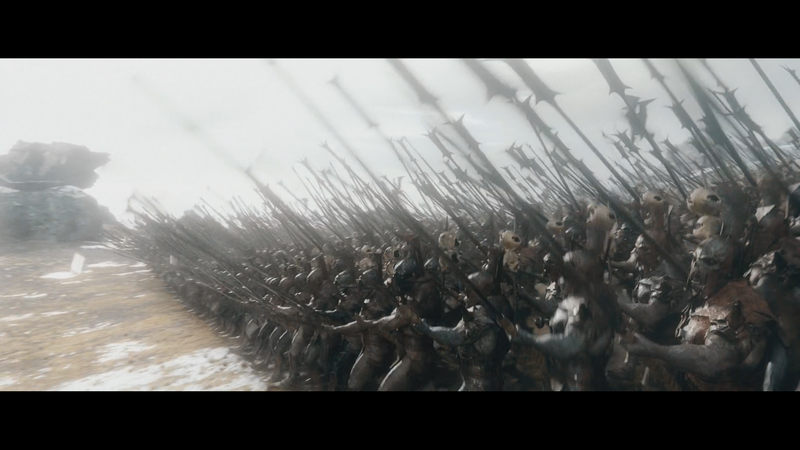 To counter this, each Dol Guldur structure has a leadership – ‘Dark Presence’ – that heals and buffs Dol Guldur units. This results in a need to constantly and aggressively expand across the map, turning forward base-building into a core mechanic. To aid with this, builders are cheaper and more disposable. 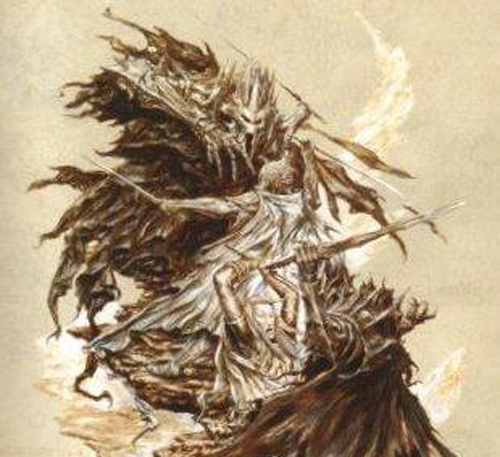 Another core mechanic is the use of various sources of necromancy to create Risen Dead – the only unit immune to the Necromancer’s draining magic – and to turn your enemies into Wraiths under your control. Spread the corruption. Thrain is but a thin shadow of his former self, and is able to skulk about unnoticed. Summons a battalion of Orcish Hunters and Goalers. At rank 3, includes an additional battalion of Orc Ravagers. Krimpûl has been tasked with retrieving the Rings of Power. Deals +33% additional damage versus Gandalf the White, Elrond, Galadriel, and Thorin Oakenshield. At rank 3, his strikes also lower the armor of enemies within a small radius by 5% up to a maximum of 25%. Summons a small Gaol that casts Dark Presence and may recruit Broken Rabble. Krimpûl cripples an enemy hero. Causes surrounding enemy units to cower in fear. 'Shelob's greatest daughter, Saenathra tried to supplant the great matron within her lair, but failed and was cast out. Queen Saenathra can quickly move underground. Rank 3: Feast, My Children! Spawns a large horde of tiny spiders that slow down and deal damage over time to enemy units. Cannot be targeted, last a short time. Targeted enemy units become hostile to one another. Like Ungoliant, Saenathra possesses an insatiable hunger for flesh and precious objects. Saenathra can now trample, and steals resources when dealing damage to enemy units and structures. When activated, Saenathra regains 30% health. Summons two hordes of rank 2 Easterling Swordsmen. Becomes Ring Hero once the Ring is collected and given to him. Summons a large, black Warg. A maximum of three may be out at any time. The Necromancer casts a necromantic spell on enemies within the radius, dealing heavy damage and resurrecting the dead as Risen Dead under the player’s control. This spell has a relatively short cooldown and is the Necromancer’s main source of danger. The Necromancer becomes incorporeal, allowing him to move quickly across the map while terrifying nearby enemy units. Shapeless Malice does not allow him to attack (this is basically a mount). The Necromancer erupts in flame, blasting back enemies and setting the surrounding area on fire. 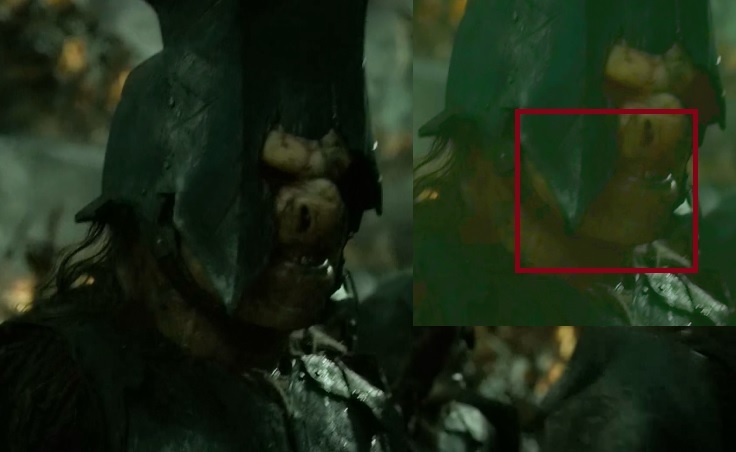 Visual cue: the Necromancer is wearing parts of Sauron's Prologue armor. The Necromancer deals strong splash damage as his basic attack, and can attack from great range. Summons a Ringwraith. A maximum of three may be out at any time. Same as before, but with a larger radius. Same as before, but deals damage to nearby enemies. Same as before, but with a shorter cooldown. Enemy units within the radius take damage. If a unit dies, the Gwanthaur receives +5% armor and damage for a limited time. Visual cue: swirling mists engulf the area of effect. The Gwanthaur can target a friendly unit to devour them and regain some health. Targeted structure is destroyed. Twisted trees appear in its place. When activated, reduces all structure costs by 33% for a limited time. Enemy units surrounding the fortress take damage and turn into Wraiths upon dying. Prerequisite to Hill of Sorcery. Can be cast to reveal part of the map. Enemy units caught in the radius take minor damage over time. Castable, destructive spell that sunders the earth beneath the enemy and causes it to erupt in pale flame. Spawns Risen Dead that attack nearby enemies. Visual cue: tall, crumbling spires held together by thick, thorny vines and bolted metal rods and strips. Several 'doors' on all sides at differing heights, with treacherous staircases leading up to them and around the fortress. Basic resource structure. May use Refresh Slaves, which temporarily disables the Mill but spawns a horde of Broken Rabble. Visual cue: an edited version of RotWK's Angmar Mill structure. Advanced resource structure. Collects fewer resources than the Slave Mill, but may cast Mirkwood on trees in a small radius, corrupting them and extracting additional resources from them. A single Corrupted Entwife. Similar to Ents, but faster and with less armor. Once killed, they drop a Tumorous Acorn, which will respawn the Entwife if left alone. Visual cue: a slightly raised pool of black, oily water. A gnarled tree grows at its side, dipping some roots into the pool. Around it grow many poisonous, flowering plants, and mushrooms. Vanilla, with new worker models based on Broken Rabble. Empowers nearby Dol Guldur units. Counters their damage-over-time affliction and slightly buffs their stats. Horde consisting of tortured and enslaved Elves, Woodsmen, and Dwarves. At rank 3, Broken Rabble gains Eternal Servitude, which causes each killed unit to be reanimated as Risen Dead. Risen Dead do not suffer from the Necromancer’s corruption and are able to climb walls. Orcish archers that may stealth near trees. Rigged to Mordor Orc Archer. Orc spearmen that may stealth near trees. Rigged to Mordor Orc Pikeman. Heavily armored, zombified Orcs carrying blacksteel axes. Siege units that are largely immune to ranged damage. Visual cue: an asymmetrical ruin heavily fortified and changed by orcish hands. There is a row of evil-looking prison cells to one side, with hanging cages and corpses/skulls throughout. Summons a stationary cluster of Spiderlings in the selected area. Spiderlings slow enemy units down, as well as deal damage to everything within their reach. A horde of Great Spiders. May trample enemy units. Deal decent siege damage. At rank 2, gain Burrow. Permanently equips all Great Spiders and Spiderlings with Venom Sacs, allowing them to deal additional, lingering poison damage. Visual cue: heavily overgrown ruins strung together by cobwebs. Egg-sacks, moss, tiny spiders spawning and crawling everywhere (will require a low-poly, tiny spider model). This structure should give arachnophobes the creeps. Basic defense structure. Weak and cheap, spammable. Stealthed near trees. Visual cue: a ruined tower held together by thick, thorny vines wrapping up and around it like coiling snakes. Upgradeable structure that can be used both offensively and defensively. Small radius around the Tower is constantly blighted. Upgrade. Orc Hunters and Gaolers may be ‘upgraded’ to be turned into Risen Dead. Risen Dead are fast-moving shock troops. Risen Dead do not suffer from the Necromancer’s Corruption and can climb walls. Also spawns Risen Dead to defend Dol Guldur structures. Recruits a battalion of Harbingers of Shadow. They wear ruined mail and tattered cloth, with a conical, mail-lined helmet covering a withered, dead face. Slow-moving, slow-attacking. 3 in a battalion, limited to 3 battalions. Can be cast on a structure to deal damage over time. At rank 3, spawns several uncontrollable wraiths around the targeted structure. These Wraiths last a short time but can turn enemy units into Wraiths. The Harbingers' attacks passively decrease armor and movement speed. Units within the radius take damage over time. Affects both enemies and allies. Risen Dead are immune. Blight radius is greatly increased. Recruits an Armored Castellan. Hero unit. Limited to three. Provides armor to nearby structures. Decreases armor of nearby enemy structures. The Armored Castellan becomes immune to damage but cannot move or attack. Enemy units are blasted back and take damage – if killed, they become wraiths. Visual cue: likely the most intact structure in the faction. A dark tower not dissimilar to but much less refined than Barad-dûr. Surrounded by evil statues and laden with corpse-cages hanging from ledges. As it ranks up, has bat swarms around its zenith. Friendly units within the radius gain +100% damage at the cost of -50% armor. Summons a festering marshland. All units caught in the area lose leadership and are slowed. Targeted trees are twisted and corrupted. Provides vision range and spawns a large number of wild spiders that attack anything in sight. Temporarily take control of enemy units within the radius. When Ensnare runs out, ensnared enemies take damage. Summons three hordes of Black Wargs lead by their Great Alpha. Summons an armored, undead Troll. Disables and damages structures in a radius. Summons a controllable, swirling green mist. All units, friend and foe, take damage and are turned into Wraiths upon death. *A corrupted, ancient spirit of the forest. Broken, bony antlers on a horrifying head, long-reaching limbs and a bent back upon which grow many mushrooms and strange trees. The Gwanthaur preys on lost travelers, claiming their souls for sustenance. This is a power that I'd like to see, I was thinking of a Dol Guldur campaign mission, but depending on how powerful it could become it might fit your missing 15pp spell. Cast on Dol Guldur building, allies around the building are now cloaked when still. I like this spell because it creates a lovely conundrum for a besieging enemy - there could be a large army hidden around a forward tower or perhaps a secret defender at a lonely Mill. First of all i want to say the plan is really sick, Dol Guldur = pure evil. Second i have some suggestions for Thrains abilities. I would give him a backstab power kinda like Wormtongue but without the poison effect. For another one i would give him a sneak/stealth ability, (passive or active) since he attacked Gandalf from above and then concealed himself, actually sneaked upon him. Maybe for a third one a kind of madness power, which give him briefly an attack boost. Don't know what you think of the suggestions, i based his abilities on his little skirmish with Gandalf in Dol Guldur. There's Black Shroud already in the spellbook, which does essentially the same (if we could make it affect buildings) - I could rename that to Spell of Concealment. Yeah, he'd get abilities similar to those. I just haven't hashed out any details on them to make them 'original'. I just thought of a name for Krimpul last ability: keeper of the dungeons. But what it should do i don't know, a massive debuff/buff, a summoning or experience gain. Probably you wan't something more unique. I didn't expect any further factions, but this Dol Guldur plan actually exceeds anything I could have imagined. The general themes of draining your own minions for power, corrupting and turning everyone into wraith just seem really fitting and presents the evil that lurks in southern Mirkwood really well. Also: Spider-riders! Move those legs! Yay! I also really like your choices of heroes. Yet, I have a question there: In what form will the ring-necromancers Ringwraiths appear? Will they be fully clad in black like in LotR or will they appear in their ghostly form as shown in Dol Guldur in the Hobbit movies? Additionally, just know that I'm really exited that we might actually see this kind of Dol Guldur in AotR somewhen in the future. Alas, as this is the last faction, I realise this might still take some time, but I trust that you will indeed bring these concepts to their fullest. This is a great idea for a faction with a unique theme; it allows for good coverage of the 'Necromancer' side of Sauron, while the Mordor faction covers his 'fire and fury' side. I like the idea of having more individual ring heroes - the Necromancer here, Saruman the Many-Coloured for Isengard, and of course we already have Smaug - which distinguishes each faction further. This is perhaps an outlandish thought, but is there any way of including vampires or werewolves here to go with the general 'undead' theme of this faction? We know Sauron was partial to turning into a vampire from time to time (while he was still able to do so) and dribbling blood all over the carpet when the mood took him. The challenge would be making the design fit in with the rest of this established world (and Tolkien said so little about his vampires, other than that they could fly, and presumably drank blood, so they wouldn't even need to be humanoid). I say outlandish because there is no mention of vampires or werewolves in this era of Middle Earth (as far as I know), and such units may well seem out of place. I follow the theory of vampires and werewolves still existing (Gandalf references the latter in the late Third Age) but being greatly diminished both in number and size/power. To that end, I view the Giant Bats in Misty Mountains to be whatever is left over of the vampires of the First Age (they have a Vampirism skill) and Wargs (Black Wargs in Dol Guldur especially) to be what's left of werewolves. So they're there, certainly in spirit. Nearby Broken Rabble gain +60% damage and +15% speed but have their armor reduced by -33% for a limited time. i have a book "The Battle of the Five Armies - The art of war" if you want a photo with better resolution. 2) Another question and idea would be "the nazguls", i would be cool if you put the nazguls like the hobbit movies?, that's will be a good adition and desing. 3) I think would be better to leave Sauron as Hero Ring as Mordor, because he only need his ring for be again corporeal. In my opinion of course. But if you put Smaug as Hero Ring in misty mountains i think is ok.
4) Thrain and Krimpûl the Torture as the movies of course also. As always just my opinions and ideas, i like this mod and this new faction will be cool also. I appreciate the effort put into this post, but I must tell you that we will not be using Hobbit designs for the Dol Guldur orcs, nor for the Nazgul. I'm tired of copying other people's designs and would rather design them myself. My Dol Guldur orcs will not look like heavily armored Uruk-hai, but like thin, ghastly scavengers under the corrupting influence of the Necromancer, wearing bone and hide armor and carrying bone weapons. I might make an exception for Krimpûl - the original Bolg design from The Hobbit was neat and there's a lot of concept art of the creation process available, so he might get based on those. As to the book, I have it too. Dol Guldur has a long history and was destroyed a number of times. I guess that the orcs that occupied it after the events of The Hobbit are different. Ok no problem, understand and thanks for reply me. I just want to say ideas if i have, personally i like gundabad orcs design also, that's it. However, it will have been a long time to see this new faction, some things could be change, but i will be so happy and excited to see all factions complete. I like many of the ideas in the plans, in fact Dol Guldur is one of my favorite evil forces thematically, more than Mordor itself. Regarding the Vampires and Werewolves discussion, i agree with the thought that the Bats and Wargs are the descendants of these ancient races. Maybe as a hero, or as a final tier Spellbook Power similar to the summoning of Balrog what would you think of Gûlavhar? He is supposed to be an ally of Angmar but since it doesn't exist anymore he could have found refugee in the dark of the abandoned fortress of Dol Guldur drawn there by the evil of the Necromancer. Thank you for taking the time to share you plans and engage with the community, this is a very promising mod and i eagerly await your future updates! Hey - the Castellans are already in the plan as hero units! As to Gûlavhar - that's a no from me. I've always loved its design but I prefer my original creature, the Gwanthaur. Great, i don't know how i missed the Castellan name entry on the top, i was used to read their name as "Castellan of Dol Guldur" and probably misread the "Armored Castellan"
The Gwanthaur sounds like an interesting concept, its description reminds me of something like the Incarnate Elemental of Beasts from warhammer https://vignette.wik...=20170722102504 but with fungus and vegetation on it's back. Not sure how you will implement it into the lore of Dol Guldur as there are no living Ents in Mirkwood or other gigantic creatures that could be corrupted but certainly looking forward to it since poor Gulavhar doesn't get a pass. 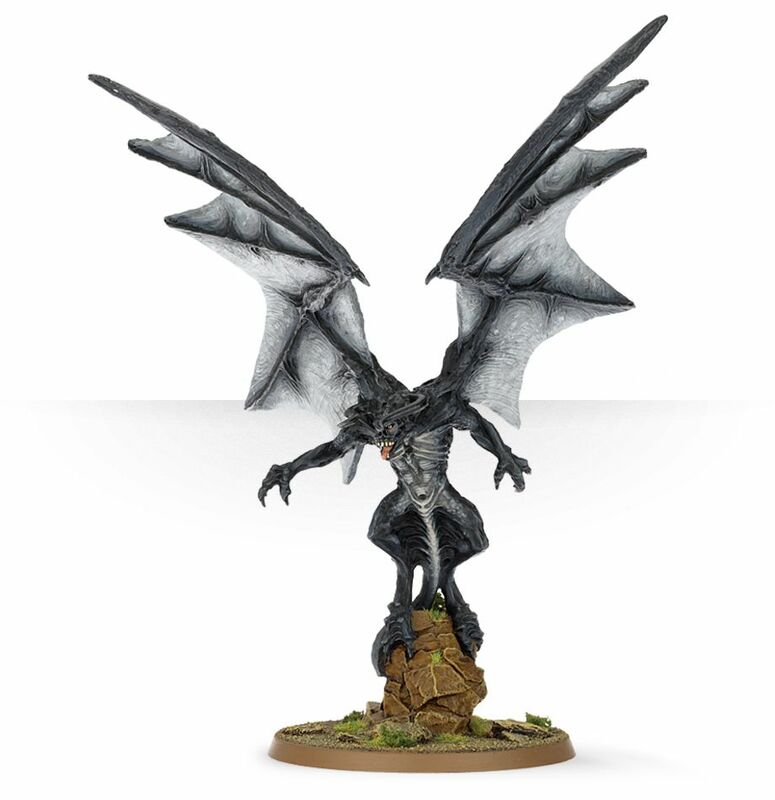 I bet if your team ever decided to include a playable Angmar that it would be epic as well! Just noticed that the Necromancer is both a normal hero AND ring hero - does that mean you have figured out a way of 'giving' the ring to a character and changing their abilities? If so, is this a good time to open the whole 'Saruman for Isengard ring hero' debate again? I don't think there's need for a debate, ring hero Saruman is already a part of Isengard's faction plan. Ha! Well, that serves me right for not checking first! Awesome news though!